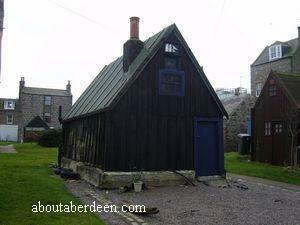 The small fishing village of Footdee can be found at the mouth of Aberdeen harbour and can be accessed via the Beach Esplanade of Aberdeen City, Scotland. 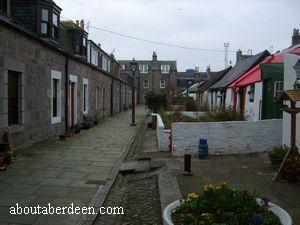 The village of Footdee comprises of two areas of fishing cottages built in two squares. In olden days the cottages would have housed fishermen and their fisherfolk families. Though some fish families still live in the cottages, the area is no longer predominately lived in by fisherfolk so is not as active with fishing, fish wives sitting outside repairing nets whilst having a good gossip or full of nets drying and untangling on the green. What does remain though are some picturesque fishing cottages and some well maintained gardens set away from the hustle and bustle of Aberdeen City, but yet only a few minutes drive or even walk from the still busy Aberdeen harbour. There has been a village at Footdee for centuries. 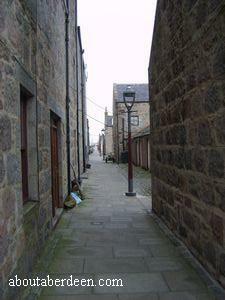 The area was originally called Futty then the village became Fittie and now the area is known as Footdee. This is now the official name for the area. The area has had a settlement as far back as the Medieval times and the first recorded reference to the area of Fittie was in the year 1398. This village was slightly further North than where Footdee is now located. It would have been near to where the St Clement's Church is located. As new buildings were built and the harbour grew so the village moved. The North Square and the South Square were designed by Aberdeen City architect John Smith. He was also the architect of Balmoral Castle in Royal Deeside. The front of the houses in Footdee look inwards to give protection from the strong winds off the North Sea. There was a third row of houses built a few years later and is known as Pilot Square. These dwellings were built for the harbour pilots and their families and were built to a better standard - many of the original houses and cottages lacked toilets and even roofs when finished. Many of the original thatch roofs were destroyed by poultry such as hens kept by the villagers. The Magistrates of Aberdeen had to issue a Court Order to forbid the keeping of hens and other fowls in the area to preserve the roofs. Any poultry found in the area was ordered to be instantly killed. Aberdeen Council also had to issue Court Orders against people who build temporarily shanty style dwellings in the centre of the squares. The original homes in Footdee were ground floor dwellings though many families built a first floor to their homes years later. Even in recent years there have been new homes built in the area and the village has retained its quaint charm. It has been thought by many an Aberdonian that the name Footdee is so called because the village stands at the end of Aberdeen harbour, the foot, or fit in Doric, of the River Dee. However modern historians now think that Fittie or Footdee is named from a corruption of a former dedication to Saint Fothan. 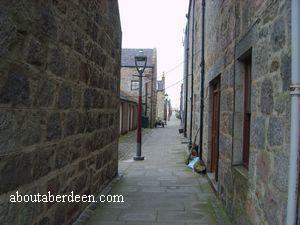 Though some sources such as Footdee: And Her Shipyards (Villages of Aberdeen) spell it as St Fotin. 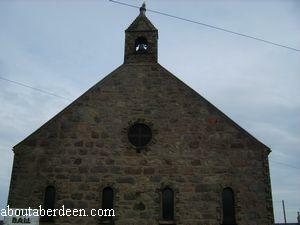 Read more about Footdee in the Book Footdee (Villages of Aberdeen S.) written by Diane Morgan. The photographs on this page show the dwellings, houses and cottages of Footdee. 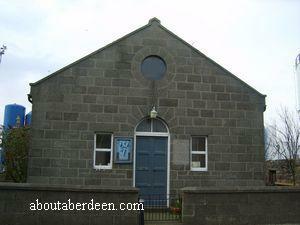 The photo above is of Footdee Church which was built in the 1950 and the picture to the left is the Footdee Mission Hall. If you would like to send me a photograph of Footdee for this page that you have taken yourself then please use the contact me link on the left menu. Nell Nelson appeared on television from Footdee on the 5 July 2007 on STV channel 3 at 7pm. The TV presenter who cycles around Scotland visiting areas of interest and sampling the local cooking and recipes in the telly programme The Woman Who Ate Scotland. Whilst in Aberdeen and at Footdee she went to Aberdeen fish market to learn how to fillet fish and then she went to the Silver Darling restaurant to be shown how to cook lemon sole with capers by the owner Didier Dejean. Viewers were treated to images of the Footdee fishing village when Nell Nelson cycled round on her bike. 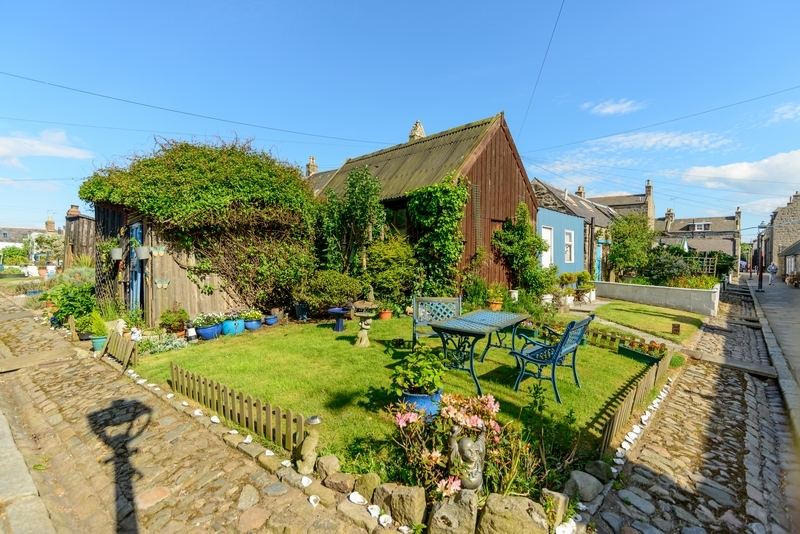 In July 2007 a Footdee cottage for rent hit the news when Footdee cottage owner and landlord Chris Rigby advertised his Fittie cottage for rent with offers over �900 a month. Scottish property buyers are used to the Scottish system of putting in offers over the asking price when buying a property.  Few however are used to placing offers when renting property in Scotland and Aberdeen. 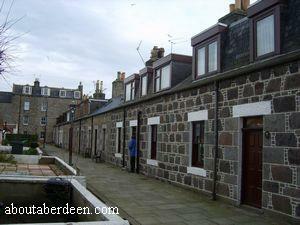 The Footdee cottage for rent from Chris Rigby is at 15 North Square, Footdee in Aberdeen, Scotland. It is a two bedroom cottage and Chris feels confident that he will find a tenant given the housing shortage in Aberdeenshire. Read about the old New Year customs of Footdee on the Hogmanay Customs page.